Even when A Far Cry isn't playing our own concerts together, the individual Criers can always be found out and about, playing in various different projects around the Boston area—and beyond! Playing in other groups is a great chance for us to expand our musical horizons, and bring a greater repertoire and exploratory spirit back to A Far Cry itself. And it's a chance for you, should you so desire, to get your Crier fix! 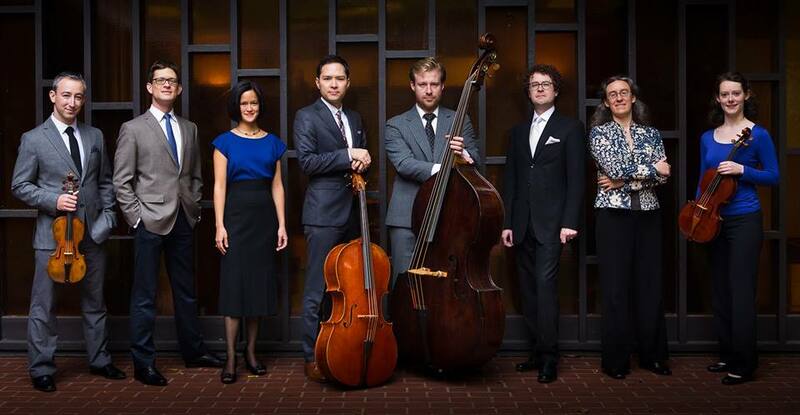 Friday, December 5, 2014, 7:30pm; First Lutheran Church Jesse, Megumi, Erik, Jason, and Sarah join some members of the extended AFC family for a program of "Antico" masterpieces by Vivaldi and J.S. Bach, and "Moderno" companion pieces by Honstein, Schlossberg, and Karosi. Friday, December 5, 2014, 8:30pm; New England Conservatory Pierce Hall New Crier Robyn presents a master's recital full of love, loss, struggle, celebration, illicit behavior, and knighthood. Saturday, December 6, 2014, 5pm; St. Paul's Episcopal, Brookline Sunday, December 7, 2014, 3pm; South Church, Andover Karl returns to St. Paul's Episcopal Church in Brookline (AFC's old stomping grounds!) for a holiday program of Vivaldi concertos. The featured cello soloist for this concert, Sasha Skolnik-Brower, has performed with AFC as a winner of our NEC Prep School competition.